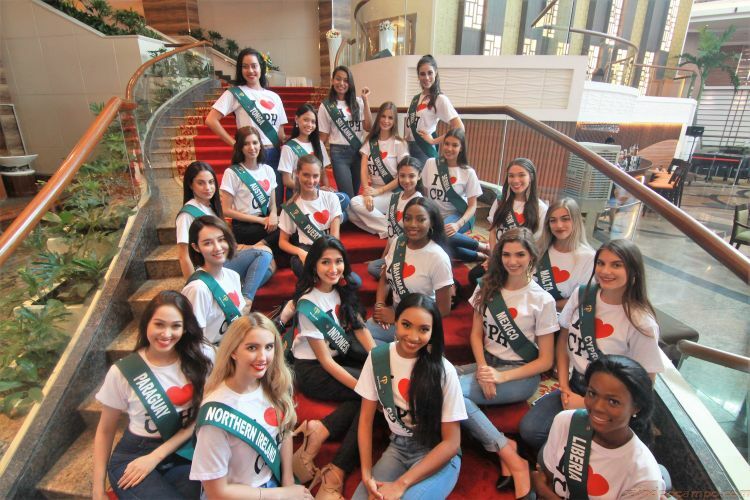 Century Park Hotel (CPH), one of the country’s distinguished Manila hotels known for its own brand of Filipino hospitality, is currently housing the Miss Earth 2018 delegates from the Water Group. “Majority of the delegates are first-time visitors to the Philippines, some of them have not been even out of their countries until today which makes them homesick. Their time here is more challenging as they need to contend with the competition. We truly understand how it feels to long for familiarity so we at CPH are here to ensure that each one of them is well taken cared of and be comfortable right away,” enthused Mr. Tan. The Goddesses of the Earth reflected the same sentiments. When asked, what resonated from them was the warmth of the staff and the welcome they received upon stepping inside the hotel. CPH was the perfect place to start in their venture outside their country as relayed by some of the ladies in the group. The Water Group is just one of the three groups (including Land and Air) who are currently visiting schools, attending eco-tours and environmental symposia.